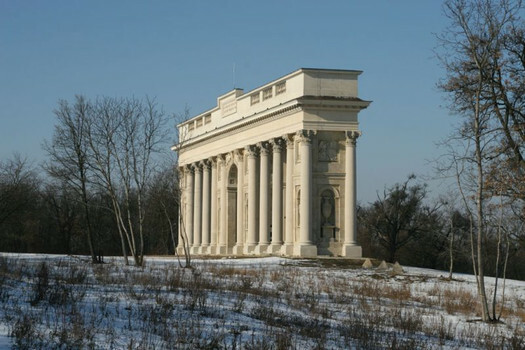 The Colonnade on the Reistenberg hill (called also Hummock), which rises on the border of current Southern Moravia and Lower Austria, is one of the last pieces of work by architect Josef Hardtmuth in the Liechtenstein´s service. 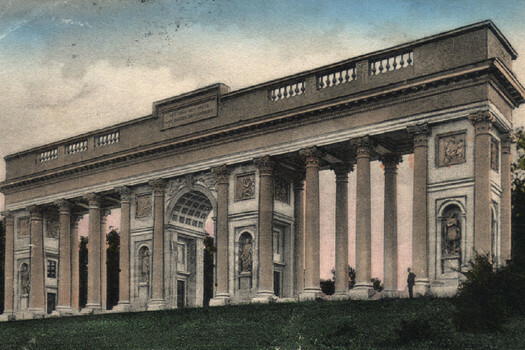 Hardtmuth designed a classical colonnade shape; on its axis he placed a free interpretation of a Roman triumphal arch. This is one of the highlights of the Empire’s triumphalism in our country. 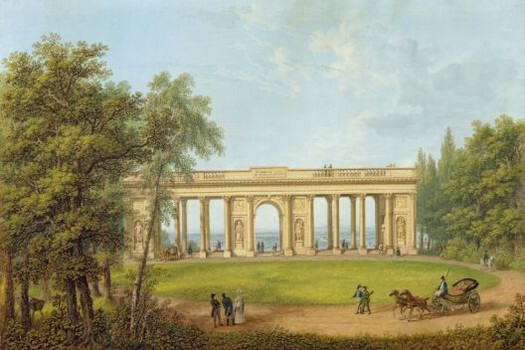 Prince Jan I built the Colonnade in memory of his father Franz, and his two deceased brothers: Philip and Ludwig. Their characters were immortalized by statues on the niches of the northern side of the Colonnade: the ancient tunics refer to the alleged Roman origin of the family. Sixteen reliefs represent the family virtues and remind us that the Liechtenstein family supported music, architecture, philosophy, and also charity, demonstrating their prudence and courage. Jan´s dedication to his father and brothers is still confirmed by the German inscription „ The son for the father, the brother for the brothers“ on the northern side, on the southern side we can read a similar dedication also in German „For unforgettable men the only surviving son“. 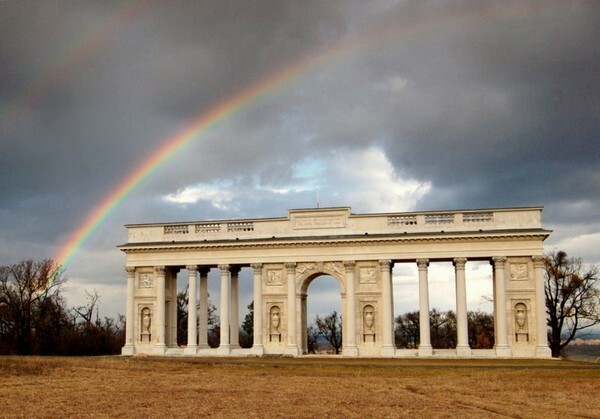 The Colonnade is therefore an ancestral memorial and dominants the landscape; you will appreciate its location on the horizon of a sunrise journey from Poštorná. 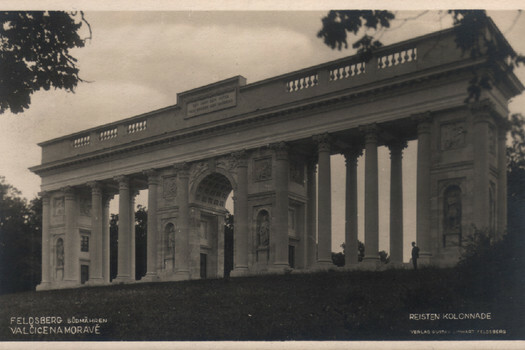 This monument is traditionally – and rightly so – compared to the Gloriette in Schönbrunn (Vienna). 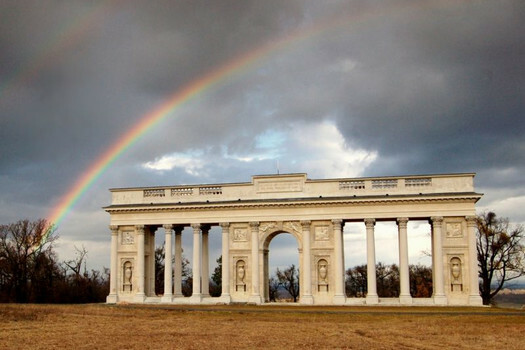 Construction work started in 1812 under the leadership of Josef Poppelack, the rough construction was finished in 1816, and in the following year the beautiful decorations were done by the Viennese sculptor Josef Klieber and his fellow workers. 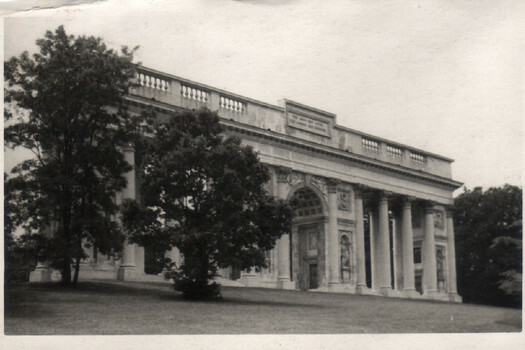 According to historical sources, the building was only finished in 1823.